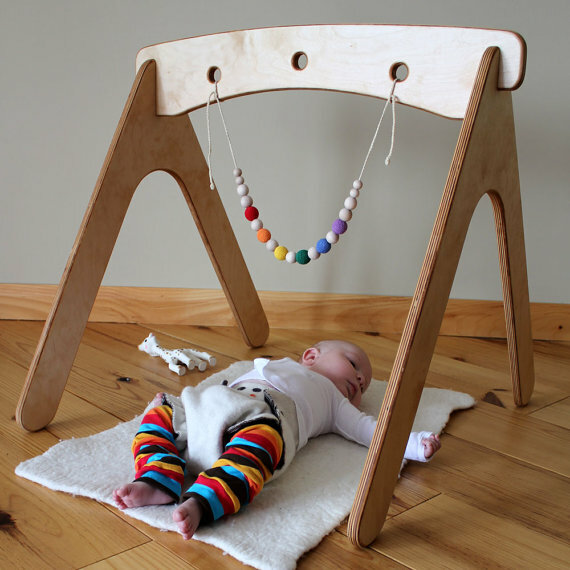 Highland Wood offers two items that are top on my wishlist for our home: A simple wooden baby gym and a similarly simple toddler bed. Aren't they lovely? And since we're on the topic of toddler beds... please please tell me what you've done for sleeping arrangements for your kids. We have an amazing mini crib (Bruno's bed), and then Sebastian is in a full-size crib with standard mattress (which I would love to get rid of). At some point, and soon, Seb will need to move either into a toddler bed or a twin size bed. What is the next best step? I want to buy as few things as possible, and also have the best transition for him, but it's hard to figure out what's the most practical, and cost effective, solution. 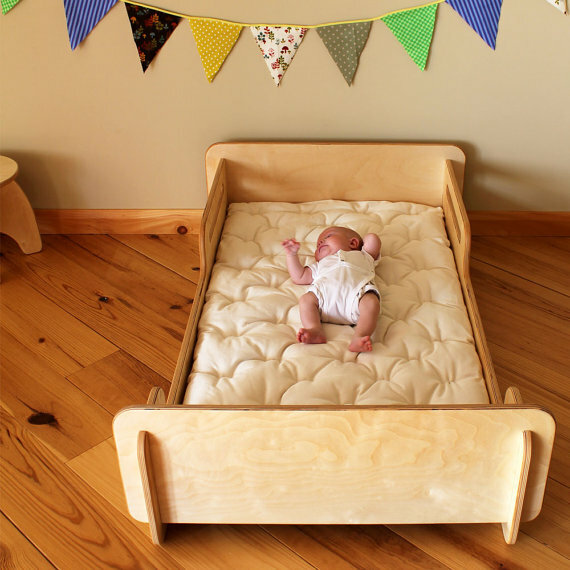 One thing I love about Highland Wood's toddler bed is that it comes as flat wooden pieces and simply slides together. This would be a great option for storage when it wasn't needed, and let's face it, for those of us who are construction and instruction challenged! P.S. In the same vein, check out yet another incredible Etsy shop: Smiling Tree Toys. All this via my new favorite blog. Seriously, check it out.